I wish I had a dog but since I don’t, at least I can paint them! 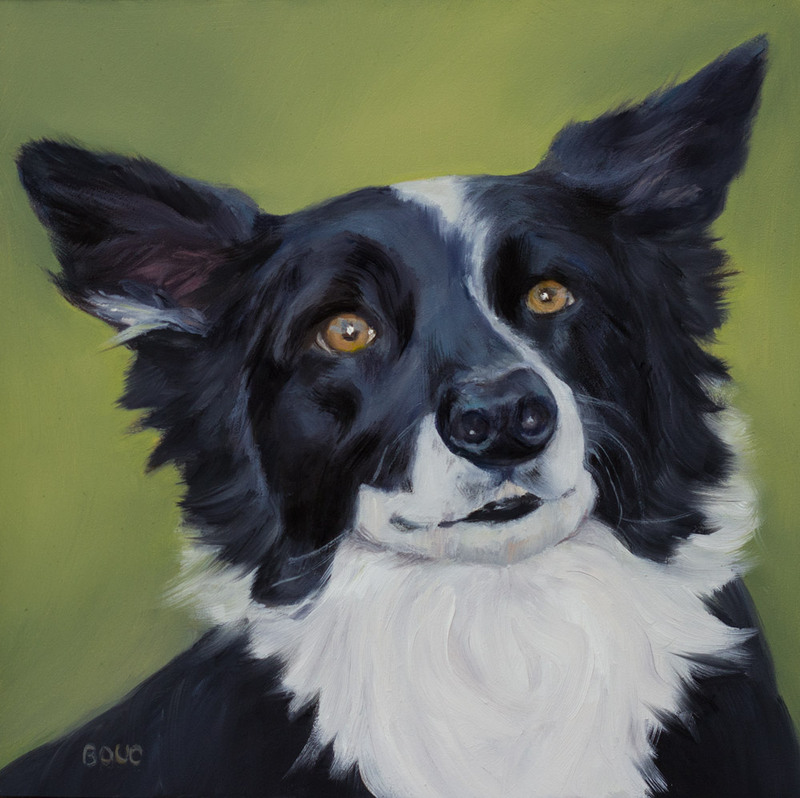 This dog portrait in oil was commissioned by a woman as a gift to her father-in-law of his dog. I had to wait to share it here until I was sure the painting was in the gentleman’s hands. I learned that lesson the hard way. Once I posted a watercolor commission in progress of a house, a gift from a wife to her husband. Their daughter was searching online for the Oakland Federal Building and it led her to my sketch of that building on my blog. From there she landed on a post about spilling my coffee on the nearly completed watercolor painting of the home. She was shocked to see it was the house she’d grown up in. She called her mother right away to tell her (not her father, fortunately). It all worked out fine in the end but I don’t post gift paintings now until they’ve been given. What a wonderful painting! And I love your story!!! Your posts are always so interesting! Fantastic portrait! What a face! Wow Jana, that is a beautiful painting of the dog. You have such terrific talent. Well done, this is a beautiful dog portrait – love the face and wonderful fluffy fur. HI Jana- I just saw a photo of a painting yesterday that looked exactly like this, and there was a US postage stamp with the same image in the frame. I will forward your email to the person who has this and see how closely they resemble each other. That was like déjà vu. I love how you’ve captured the eyes! So tricky, and yet the key to the lovely doggy look. Beautiful portrait. Love the dog’s expression. What a beautiful dog and painting. Border collies are such fine dogs. A beautiful painting. Our family had border collie pets at one time. Not so fond of little dogs though!